This may well be one of the reasons why I’m such a fan of baking. I enjoy the precision that comes with planning, the security of weights and measurements and the specific anticipation which comes with the understanding of how a combination of ingredients will work together. This weekend just gone, my bridesmaids took me and fourteen friends on my hen do. Despite my attempts to be involved in every stage of the planning, my increasingly impatient phone calls, Facebook messages and demanding texts, they managed to keep the whole thing secret right up until the Friday night. For an organized person who’s nervous about surprises and likes be in control, it was a test to say the least. But it turned out brilliantly. I loved every second from the morning of chocolate making to a night of dancing, an afternoon spent cycling on vintage bikes to a prosecco-filled Regent’s Park picnic, a five course supper club in an incredible apartment all to ourselves to the book they gave me filled with photos, letters and memories from my friends (which, inevitably, made me cry). This amazing weekend taught me a lesson. I’ve learned that surprises aren’t necessarily something to be scared of, not knowing what’s going to happen can be good and sometimes, just sometimes, a surprise can turn the ordinary into something amazing. Where I’m going with all this is, of course, a recipe. A recipe I’d intended to turn out one way, which actually behaved completely differently. A recipe involving biscotti and white chocolate which, rather than remaining in firm, sweet chunks throughout the dough, melted and caramelized, turning into something unexpected but utterly delicious. I used to be a bit of a purist when it came to biscotti: cantuccini are a classic it seems a shame to mess with and sometimes too many add-ins can prove something of a distraction from the subtle, nutty taste. But here I threw caution to the wind (are you sensing a theme? ), removed the nuts and added chocolate and cherries for good measure. The result is a biscuit with crunchy dough, creamy caramelized white chocolate and chewy, slightly sharp fruit. These biscotti didn’t turn out exactly as I’d planned, but they tasted amazing. If all surprises are as good as this, I’m in. In a separate bowl, whisk together the eggs and caster sugar until thick, about five minutes. Whisk in the almond butter until smooth. Fold the dry ingredients into the wet then fold in the dried cherries and white chocolate chunks. Tip the dough onto a floured surface and divide into two logs, about 20cm long and 10cm wide. Bake for 10 minutes, rotate the tray then bake for a further 10 minutes. Remove from the oven and allow to cool for about 15 minutes before transferring to a chopping board. With a serrated knife, slice the logs diagonally into pieces 1.5cm wide. Line the slices up on the baking sheet, cut side down and bake for about 25 – 30 minutes, turning occasionally, until crisp, golden and the white chocolate has caramelized around the edges. Cool completely on a baking rack. I love surprises but I also have an overwhelming obsession to find out what my surprise is…. it’s a bit of a conflict really 🙂 The biscotti looks amazing!! 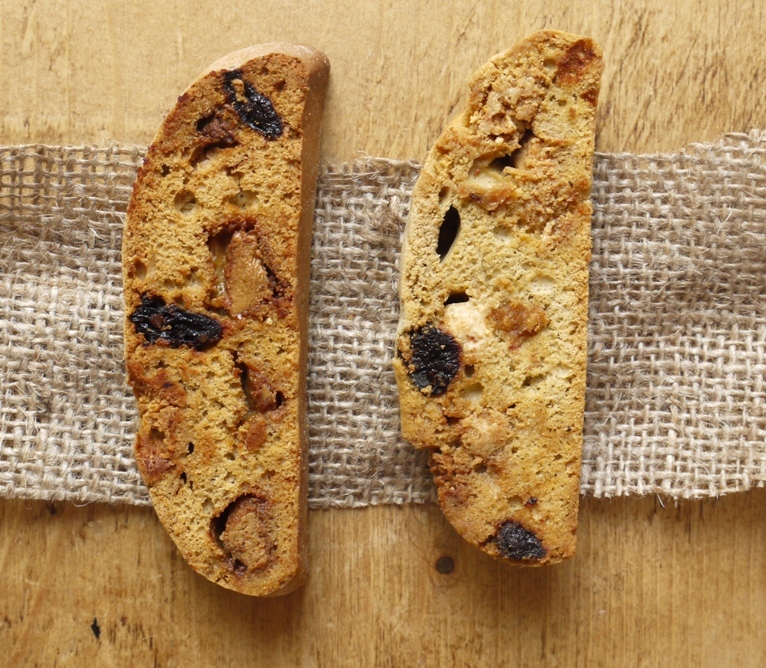 I really love biscotti and the combination of white chocolate and cherry sounds delicious. I’ve never put chocolate in my biscotti before, so I’ll have to give it a try. I think it’s slightly sacrilegious to put chocolate in biscotti but sometimes it’s nice to break the rules and these are really yummy! 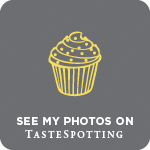 Your hen weekend sounds perfect – I’m so glad you had such an amazing weekend! How tempting! These sound absolutely delicious – love the idea of the caramelised white chocolate. 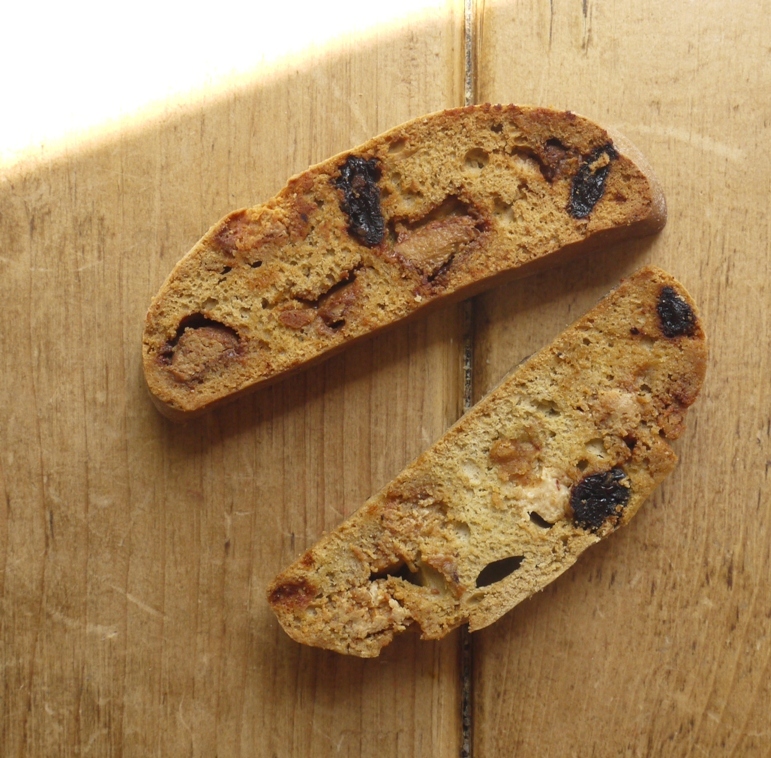 These biscotti sound amazing – as much as I love the classic cantucci I do find changing things up every once in a while can lead to pretty delicious results (one of my favourite combos is chocolate, roasted almonds and orange zest). Glad to hear you had such a blast at your hen do as well! That combo sounds delicious – love the idea of including a little orange zest. What a wonderful hens party! The biscotti looks beautiful. I love the flavours! I especially like the almond butter. I haven’t seen that in a biscotti recipe before. I threw it in on a bit of a whim – I think the fat content may be what contributed to the caramelizing of the white chocolate. Either way, it tasted pretty good! The idea that the white chocolate caramelized itself while cooking is just the best news. 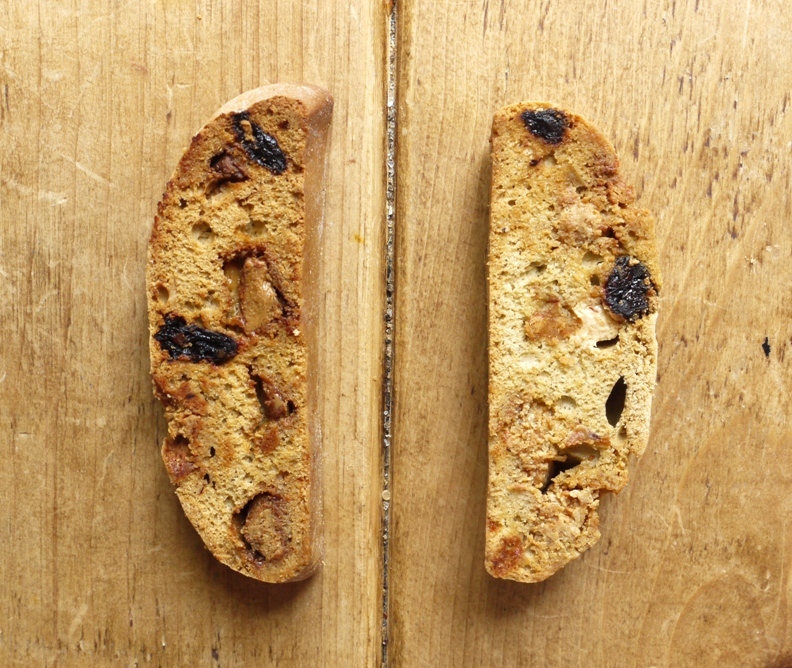 This biscotti recipe is a total keeper, love it! Your friends put together an amazing weekend Kate! So glad it made great memories. It`s not always the case. 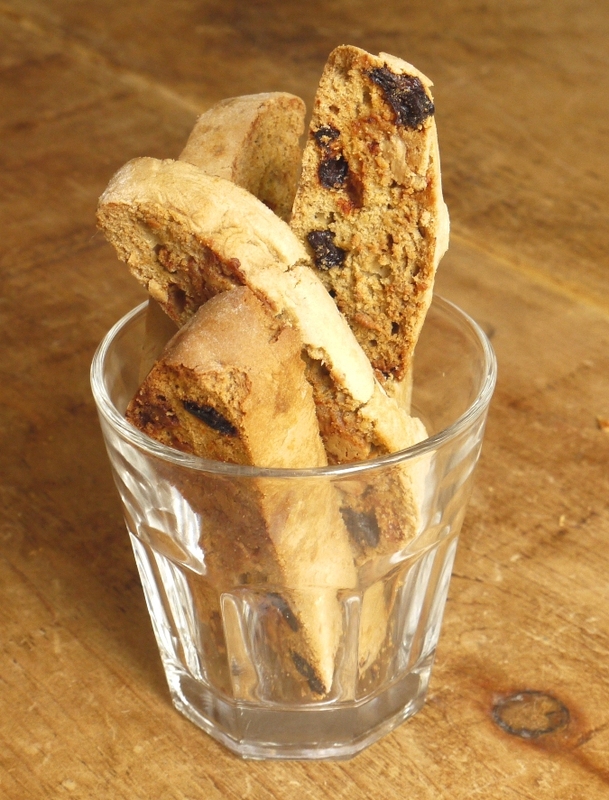 These biscotti look incredible and your hen do sounds perfect! Biscotti fan..anybody?. Well, I am. I’m no good with surprises either! Your hens sounds wonderful! I think your hen party sounds very personalized and quite lovely. As for surprises, eh, so much of my life is beyond my control anyway that I don’t mind them and tend to just roll with the punches. Yummy biscotti! I’ve got caster sugar heading towards me and cannot wait to bake, starting with my Scottish grandma’s shortbread recipe. Sounds like you had an absolutely wonderful hens night! Your friends sound like they looked after you so well and planned the perfect surprise. These look lovely. I made so many biscotti at Christmas I have had to give them a bit of a wide berth (before they gave me a wide girth) since but you have inspired me to make some more. What sweet friends you have… it sounds like a great time! And I love surprises, especially when cooking ( of course, I’m not a natural baker;). Your biscotti look amazing, a good “accident” indeed. 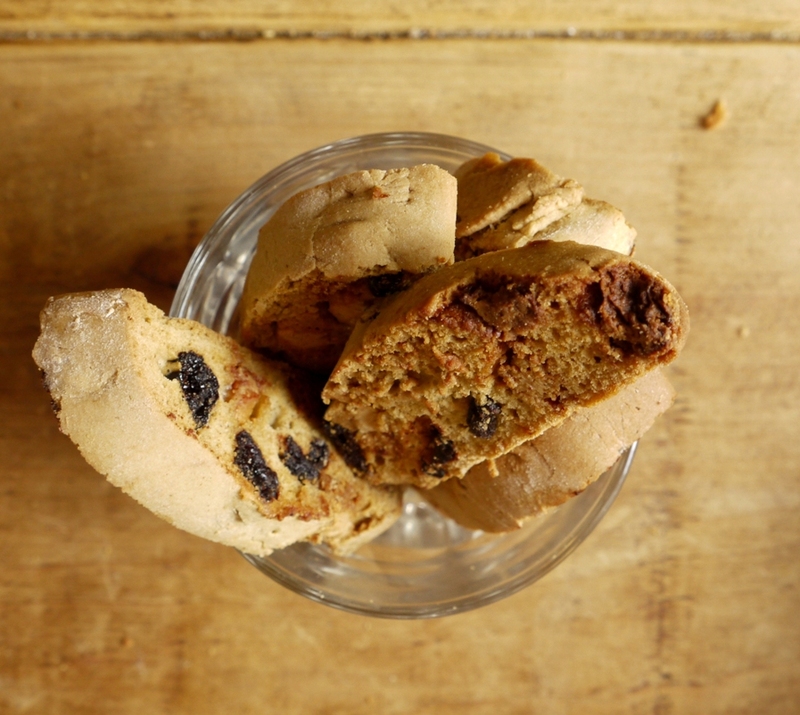 You can surprise me with biscotti anytime–it’s my favorite dessert. Oh what a perfect hen weekend, I imagine you must have had the most brilliant time. Your biscotti must be wonderful and I am impressed you have had the time to write them up after such a bust weekend. Lovely! It was pretty much perfect-we just spent the whole weekend eating & drinking 🙂 I photographed the biscotti before the fun began on Friday! …caramelised white chocolate? This is blowing my mind. Yes please to surprises like this. Your hen night sounds wonderful although I can’t imagine how you fitted it all in. I love the way white chocolate caramelises in baked goods, although like you I’ve never tried to do it. Firstly, I’m really glad you enjoyed your hen party. Your friends clearly looked after you! Haha, I’m so glad you like the recipe 🙂 Happy baking! These look absolutely delicious! Can’t beat that first dunk of a biscotti in a cup of good coffee. It’s not sacrilegious to put chocolate in cantucci at all! I’m back from a holiday in Tuscany where i discovered the chocolate ones….yum. I’m in desperate search for the perfect recipe to reproduce them at home and still looking….